With New York Fashion Week kicking off today, celebrities, designers, and entertainers are descending on the Big Apple in droves to partake in all the festivities. It wouldn’t really be an NYFW without Kanye West making some noise, and the magniloquent multi hyphenate made his first appearance of the week last night, arriving at rising New York rapper 6ix9nine’s TR3WAY pop-up. However, he did more than simply bless the event with his presence: he gifted the controversial rapper’s manager a new “VX”-styled pair of Yeezy Boost 700s. 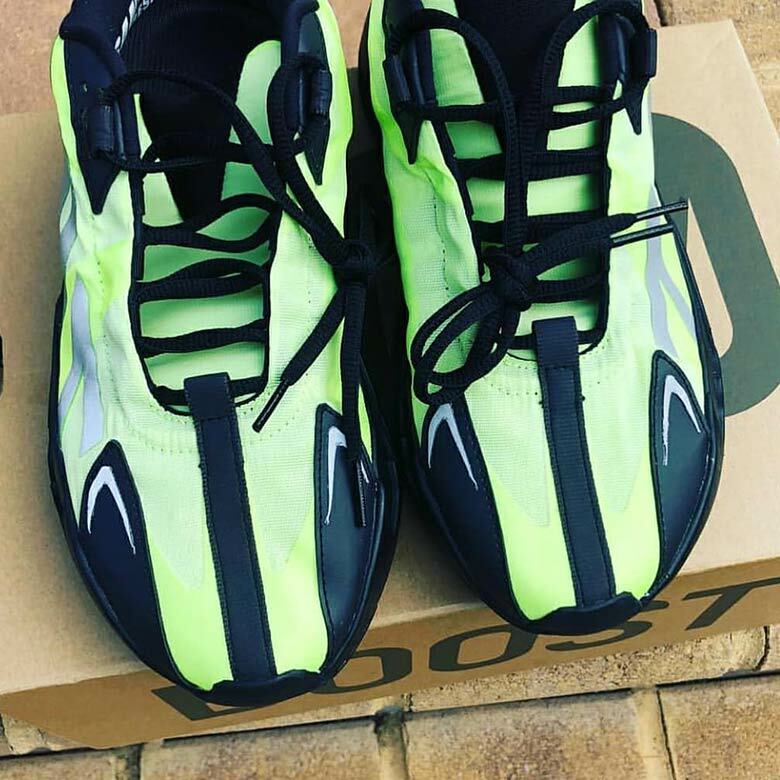 Presenting an outdoor-ready look reminiscent of trail running shoes, the new 700 is dressed in a combination of black and volt that emphasizes the chunky midsole design. The upper is constructed of what appears to be a nylon-like material, and features a bold backwards 700 branded hit. No release info for this new adidas Yeezy has been announced yet — as this is our very first look at the newly-styled shoe — but enjoy a video of the event and a more detailed look at the shoes below. Need more Kanye? Be sure to check out our comprehensive store list for the re-release of the OG Yeezy Wave Runners next weekend. 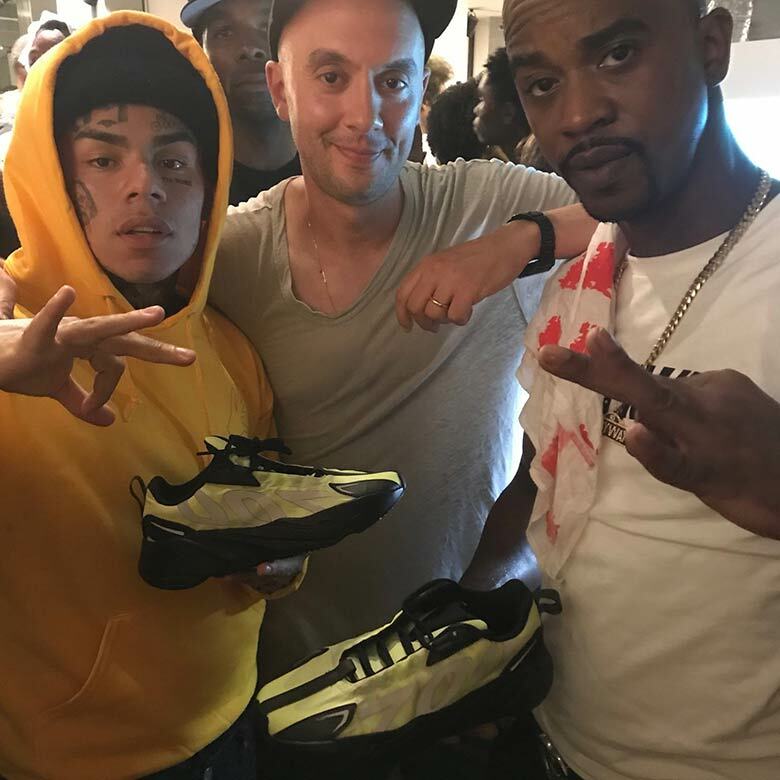 The post Kanye West Gifts Unreleased adidas Yeezy Boost 700 VX To 6ix9ine’s Manager appeared first on Sneaker News. Previous articleThe PUMA x Polaroid RS Pack Just Dropped!